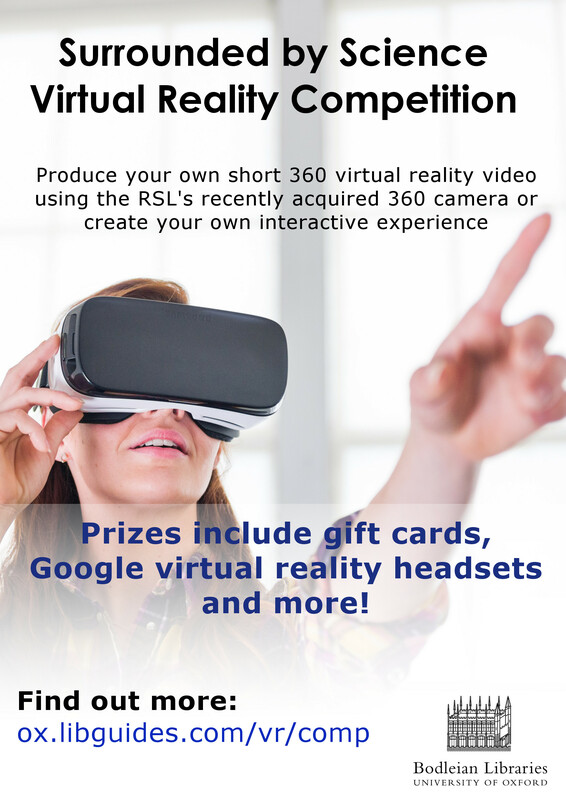 Enter our Virtual Reality competition! 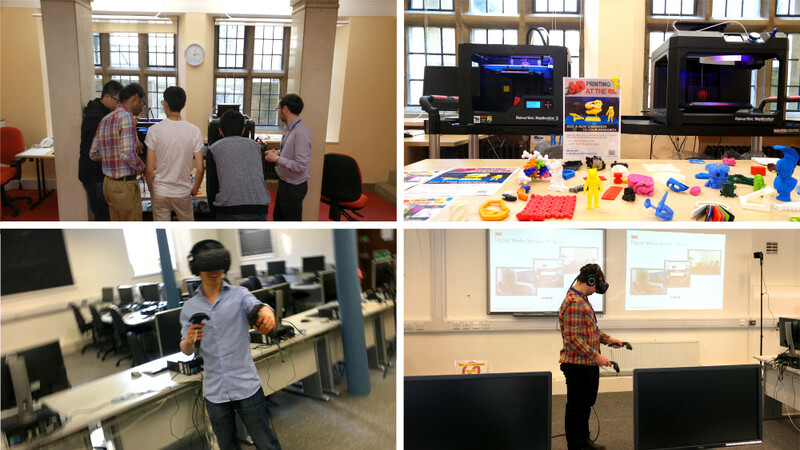 We hosted an event with the Oxford 3D Printing Society (http://oxford3dprintingsociety.com/) last week from within the RSL. It featured 3D Printers, 3D scanners and a virtual reality headset from HTC. We would like to thank Shin from the 3D Printing Society for putting on such a great event. 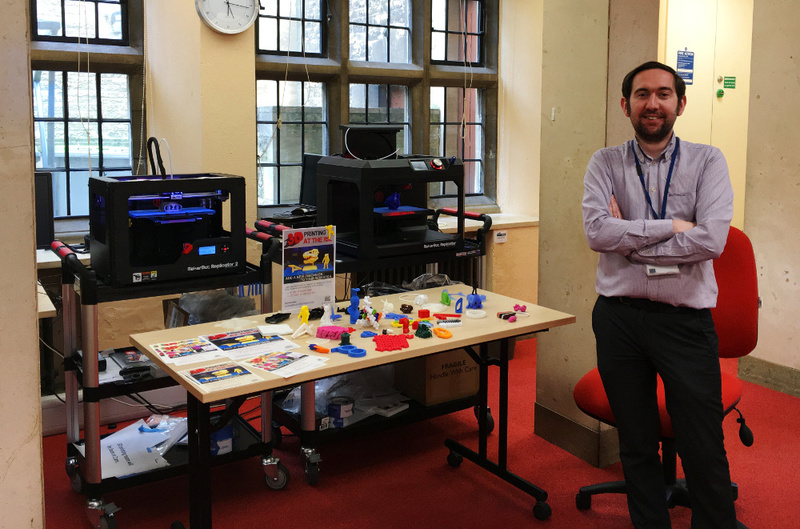 The RSL 3D Printing Team was at hand to showcase our 3D printers and scanners to all the guests who arrived for the event, some even got themselves scanned and 3D printed! This was a great way to introduce people to the technology in a novel and fun way, we hope this will inspire them to use 3D printing/scanning in more creative and academic ways in the future. HTC were also there to showcase their virtual reality headset the ‘HTC Vive’. This was a great introduction to the world of ‘VR’ for many who had a chance to try it out. At the RSL we have been interested in VR for awhile now and it was a great chance for the staff who hadn’t experienced it to finally give it a go. The ‘HTC Vive’ received great feedback from everyone who tried it and proved to be enjoyable for all the spectators to watch their peers jump around avoiding zombies and painting interesting works of art in a virtual world. This technology is going to change the way we interact with computers and at the RSL we look forward to being a part of it in the future.